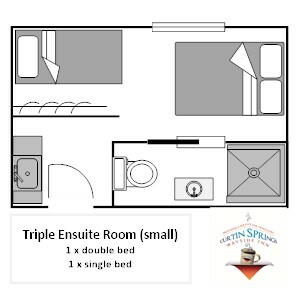 Curtin Springs - Ensuite rooms - Triple Rooms. The triple rooms have one double bed and one single bed, with private bathroom facilities, tea/coffee making facilities. They can sleep 1, 2 or 3 people per room, so are perfect for a small family or friends travelling together. Outdoor furniture completes the setting. A great option for a few travelling together. 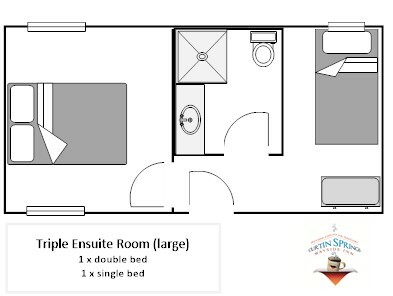 These rooms have two different sizes – large and small triple rooms. We allocated these according to availability at the time of the booking. In your booking please request a particular room layout. We will do what we can to assist.